Do you ever hear something and feel like screaming? Or hear someone state a fact and want to the world to know that the thought is incorrect? Lately, the same idea keeps being shoved in my face – and I want to tell the world that the idea is simply wrong. It is unbiblical – yet it is said in so many different ways from so many different people. Wonder what the idea is, yet? I read a facebook article about why Christian Leaders should not drink alcohol. The article said that if you want a deeper level of God’s power, if you want revival, if you want to see notable miracles – than alcohol is not for you. A pastor told a story about how God told him to share the gospel with his friend and he didn’t – so he’s had to live with the guilt that his friend may be in hell because of him. And I read a statement in a book (that I 99.9% agree with) which said we must consecrate ourselves(be all-in, be set apart) to God to be used by Him. All of these things have one thing in common. God’s will, God’s plan, God’s saving grace, God’s presence is dependant on human works. God even uses disobedient believers. Just take a look at Jonah. As a child’s story of a guy who got swallowed by a fish – Jonah, was a favorite. But then I read the book for myself. I don’t like Jonah. I really wondered why God would even include his story in the Word. God told Jonah to go to Nineveh and tell the people to repent and be saved. Jonah disobeyed and ran away by hopping aboard a ship. A storm came. Jonah knew it was because of his disobedience – so he said, “Throw me overboard.” He didn’t say – “Turn around I have to go to Nineveh.” He would have rather died than obey God. He was swallowed by a fish, spit out – and finally realized he couldn’t get out of doing what God had asked him to do. Because of Jonah’s message the people of Nineveh repented and were saved. Jonah wept because he didn’t want God to save the people! Jonah is not an example of godliness I want to hold up for my children to emulate. Then I realized the amazing message of Jonah – God will accomplish His purpose, God will save whom He chooses to save, and God will use whomever He chooses to use – despite us not because of us. God does not need you to be consecrated. God does not need you to refrain from alcohol. God does not need you to share the gospel. God does not need you -period. God will accomplish His purpose with or without you. Does this mean that we should not dedicate ourselves fully to God, that we should not refrain from things that inhibit the Holy Spirit’s control of our lives, that we should not share the gospel? No. Never. But – we don’t do these things because God needs us to, rather because it is the only appropriate response to a holy, sovereign God. When I realize that the God, who created and sustains the universe, loves and pursues me in the midst of my sin – when I realize that God turns my filthy, sinful heart into a righteous, holy one – there is no logical or emotional response other than to fall on my knees and give myself completely and totally to Him (consecrate myself to Him). When I realize that I have replaced the power, presence and peace of God for earthly substances like alcohol, shopping, food, people-pleasing – my only logical and emotional response is to eliminate those things and depend completely on God. When I realize that God could save someone as sick and depraved as me, someone full of pride and self-righteousness – when I realize God heals me, replaces my anxiety with His peace, replaces my depression with joy – the only logical and emotional response is to tell everyone I know and love what God has done for me and what He can do for them. Jesus says in John 14:15 “If you love me, you will keep my commandments.” Our obedience is our act of love towards God. God using us to accomplish His purposes is God’s act of love towards us. The fact that God’s eternal work can be accomplished through me – a mere mortal – is nothing short of miraculous. My only logical and emotional response is thanks, praise, worship, and obedience. Ready or Not . . .
“Ready or not, here I come!” – This is often the way schools treat academic readiness – but Waldorf education is different. Age is only one factor in determining if a child is ready to move from play-based learning to academic learning environment. After researching and reading countless articles, I’ve realized most literature and Waldorf schools have similar traits they look for in determining if a child is ready for this transition. So, I have compiled a list. Your child does not have to meet ever one of these standards to be ready to hop into first grade – but rather it is highly recommended that you child have most of the traits or at least a few in each category. Had 6th Birthday before June 1 or have had 7 Easters. Can reach up over his head with left arm and touch his right ear without leaning or bending his head to the side. Every child is different – but many of these traits naturally occur in children between the age of 6 and 7. These guidelines are based on child development – both observation and scientific evidence of brain development in children. If it possible to teach a younger child, who hasn’t developed many of these traits? I’ll answer a question with a question: Is it beneficial? As a homeschooler – I don’t have to have a “Ready or not, here I come” mentality of starting school – I can choose to wait until my child is truly ready. Here is a sample of a day in the curriculum for Rhythm of Grace K6 Curriculum -this day comes from January. Parent-Teacher tells story “Runaway Shadow” by L. Frank Baum with props, add more Spanish words to replace the English ones in the story. ¡Qué contento estoy pues no tengo frío hoy! How glad I am, for I’m not cold today! Only with his shadow back could Prince become a King. Play Antonio Vivaldi, “Winter” 1st Movement from Four Seasons as you play with play-dough. Pick up 3 or 4 100% wool sweaters at the thrift store – cashmere is the best because it is the softest, but other wools will work. Wash the sweaters on the hot cycle of the washer machine. Dry in dryer. You want them to shrink as much as they are going to. Cut the sweaters to quilt squares. Don’t worry about small holes. You can patch these with a small square of fabric and the quilt looks even better. Practice on two pieces of leftover sweater fabric before beginning quilt. Tie a knot at the end of the tread. Put the needle through both pieces. Go back to the first piece (the one you originally put the need through) about two fingers away from the first stitch. Put the needle and thread back through both pieces of fabric. Continue sewing until the two fabrics are sewn together. Allow your child to arrange the quilt squares any way they so choose. Use scissors to cut off any loose threads. While your child is sewing the quilt – either make a baby quilt yourself, make leg warmers out of the sleeves, or learn to needle felt. What makes Rhythm of Grace First Grade Curriculum unique? A rough draft (unedited and unpublished) copy of Rhythm of Grace First Grade Curriculum will be available to purchase for a discounted price of $50. $50 will be paid via paypal. Rough Draft will be completely digital. It will be emailed to you via a google doc in Block lessons. *The unpublished Kindergarten Curriculum can now also available for the discounted price of $50. It is ready to be emailed in a google doc to you in its entirety. I left my 10 year old at home with a list of school work, as I ran to do some errands. I told grandma not to worry, he was responsible enough to get it all done. Three hours later, when I arrive home, my son runs up to me excitedly, “Mom, Mom, can I read the Shakespeare poem to you?” Before I had a chance to breath he expressively begins “performing” the Shakespeare poem. He feels the words and expresses (and pronounces) each correctly. I listened in awe. When he finishes, he obsessively babbles about the poem – the meaning, the new vocabulary words it contains, the historical context and references made in the poem, and how he had listened to it read on youtube over and over again so he could read it with correct enunciation, pronunciation, and expression. “Isn’t it just beautiful, Mom?” – At that moment, I realized he had spent the last three hours delving into Shakespeare and checking the other items off his list had not even occurred to him. Before I had ever heard of Waldorf or “block learning” my ten year old taught me. He was simply not capable of switching the channel in his brain to a new subject before the story line in the subject he was studying was “complete.” It wasn’t that he loved Shakespeare – although he does – because if I left him the next day with Science being on the top of the list, science is all that would be done. Thus, when I started studying Waldorf’s concept of “block learning” – it made sense to me. Block learning is the pedagogy that one subject is taught and studied for a block of time usually lasting three to six weeks. Then another topic is taught for another block of time. This contrasts dramatically with the current practice of a student studying new material in multiple subjects each school day. In Waldorf schools, block learning begins in first grade – it is not geared for preschool or kindergarten – and runs through high school. Block learning is not student directed learning. The teacher chooses the block to be studied in accordance with the child’s natural development. Block learning is not unit studies. One subject is studied in depth, although sometimes other subjects are incorporated in the process of teaching that main subject. Waldorf is often associated with “delayed learning” philosophy – not introducing symbolic letters and numbers until the age of seven. What may not be known is that because of “block learning” students go much more in-depth on topics and their base of knowledge and understanding passes their peers in public school – usually by 4th grade. This is because of the concept of spiral learning. Spiral learning is the progression of a subject from block to block within a grade level and then throughout the grades. Different methods of teaching are employed throughout different grade levels, which take into account child development. For example, math is taught through manipulatives in first grade, fourth grade math holds more emphasis on art and beauty, and eighth on logic and reason. Thus, students are not only learning at increasing complexity, but able to retain the information because it is taught in a way that resonates with their souls. Block learning has proven successful. Students are fully immersed in a subject which is intensely and economically taught in an age appropriate manner. A Canadian study found that average intelligent students who studied in a Waldorf school showed the same characteristics of creative behavior, problem solving, and subject integration as gifted students who studied under mainstream methodology. Block learning and the spiral curriculum is beneficial to students ability to understand, think, reason, remember and cross-apply information. How does block learning work? Often when we think of learning for a two hour time frame, our mind goes to sitting in a desk, listening to a professor, twirling our pencil as we try to stay awake. Main lessons look nothing like this. They integrate mental, physical, and artwork to balance the learning approach. Listening, active learning, singing, storytelling, recalling information, and quiet seat work are beautifully balanced. Waldorf main lesson pedagogy used a multiple intelligence approach, before multiple intelligence was a thing. What blocks do you teach? Three to five subjects are covered per school year. A typical year may include 3 or 4 Language Arts blocks, 3 or 4 Arithmetic Blocks, 1 or 2 blocks of Science, Humanities, or Form Drawing, and often the last block of the year is saved for a school play. Block learning may be the most distinctive element of a Waldorf education, and for good reason. It is highly beneficial in developing children into lifelong learners. Thank you, Andres, for making me a believer. I look out our picture windows and see the neighbor, who is walking his dog, staring in and laughing. I don’t blame him. He’s probably never seen a mom dancing and skipping around the front room. I laugh too – not out of embarrassment, but out of delight – delight that is intensified as I look into the sparkling eyes of my daughter as she dances around with me. Circle Time may be our favorite part of the school day. In a Waldorf education, Circle Time does not end in preschool or even kindergarten, but continues through elementary school. It holds an important place in the beginning of the school day, as a transition from free play or outdoor play into more focused school time. But it is more than simply a method of transition – it is important to the Waldorf philosophy of learning. Brain Development – Science has proven that the development of the body is in direct correlation with the development and ability to learn academically. Like any other body part, when the brain is exercised, it developes and can more easily be used to learn new information. Language – both foreign and native. Through poems and songs children acquire enunciation, pronunciation, vocabulary, grammar, and language comprehension as well as a love for the flow and sound of language. Math Facts – Children move from counting to skip counting to multiplication tables in daily recitation, song and movement – making the facts hard to forget. Mental math and verbal story problems are also added into circle time as the grade progress. Memorization – Days, months, seasons, grammar facts, historical timelines, scientific information – anything that can and needs to be memorized can be done with a song and a dance. Music – Through singing, playing rhythm and wind instruments, and rhythmic movement children’s brains are being exercised. Numerous studies show there is a direct correlation between music and speech, language, reading, larger vocabularies, and the ability to memorize. How to create a Circle Time? Establish a rhythm. Just like daily rhythm – circle time has a rhythm – breathing in and out moments. Breathing out includes big motor, movement, dance, rhythmic instruments, loud recitation. Breathing in may include the lighting of a candle with a verse, sitting on the floor doing finger plays, and quiet voice recitation. For best results – alternate breathing in and out. Establish goals and move towards specifics. Start by setting up what you want to memorize (Skip counting by 7s, Months of the Year, Greetings in Spanish.) Then find poems and verse to fit what you want to teach. Then add the detail of movement, rhythm and song that you will teach each with – keeping in mind the alternation of breathing in and breathing out. Establish a base. Use two or three verses for the entire year. Change a couple seasonally. Switch 3 or 4 for each new block. The idea is to progress through the learning of new facts, but new facts are learned within a safe, established, comfortable rhythm and verse. – Keep in mind that the 2 or 3 verse you use as your base are more likely to be remember for life, so make them count. Establish a time frame. Think 20 – 40 minutes for circle time depending on the age of your child and the amount of material you want to recite. Let’s not over-intellectualize Circle Time. It is fun! It makes learning fun – and this is a good thing. A 2012 German Study found that 85% of Waldorf students had a positive attitude towards school and and were enthusiastic about learning. The students in the study reported that school was “fun” and “not boring.” (Jiménez, Fanny “Wissenschaftler loben Waldorfschulen”, Die Welt, 27 September 2012). I know that on the top of my list of “Why I Homeschool” is “To create a love of learning” and “To create lifelong learners.” Circle Time helps do this. So, I may look silly twirling circles with my daughter in my living room – but I’m so glad we do it. … Well, my child is six and only recognizes the letters in her name. She sort-of-kind-of writes her name and the the number 6 – since that is how old she is . . . and I couldn’t be happier about it. But then again, she’s my fifth – and to be perfectly honest, I worried endlessly that my first two wouldn’t be as smart or weren’t doing all the things the other kids in the sand box did. Nothing strikes more fear in a parent’s heart than thinking her child is not quite “up to par.” Thus, “delayed academics” strikes terror in most homeschooler . . . at least in the United States of America. And to be perfectly honest, if you choose this route, you are going against the social norm and it is a bit scary. So let’s take a look at the educational philosophy of “delayed academics” and see why it just may be worth bucking the current system. What is delayed academics? Delayed Academics is the philosophy that symbolic learning (reading, writing, and arithmetic) should not be taught to young children. In Waldorf the general rule is that these things are best taught after a child has had seven Easters – more often than not, that means a seven year old. 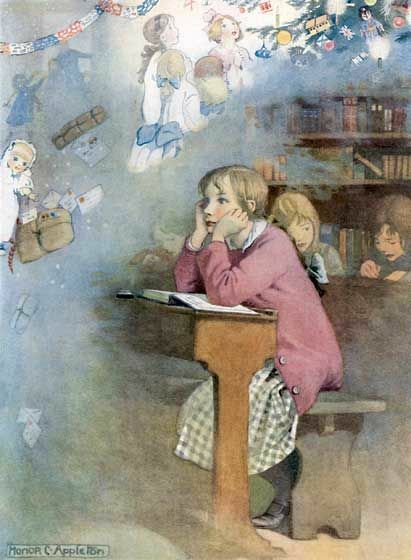 “Delayed academics” was not delayed at the time Rudolf Steiner introduced Waldorf – it was the norm in the late 1800s and all through the 20th Century to start teaching reading, writing, and arithmetic to children at the age of six or seven. It is also not “delayed” in Europe in 2017 (which overall ranks higher than the US in Education.) Most of Europe has play based early education, and reading is taught around the age of seven. It has only been in the last ten years, in the United States of America, that preschoolers are expected to know and recognize all their letters and kindergartners are taught to read. Why delay academics? Basic understanding of child development. Bilateral Integration. Each section in our brain does different things. For some tasks the different sections must interact with each other to do the task efficiently. For example, in reading – one part of the brain deciphers phonics and another part creates mental pictures which help one to comprehend what the phonics means. If these two sections are not communicating well a child can learn to read and not comprehend, or what happens even more often is that a child learns to read but gets stuck in 4th or 5th grade when the reading becomes more difficult. Most children’s brain sections begin to interact with each other sometime during the sixth year of life. Symbolic Language. Children under the age of seven do not think symbolically, but concretely. So although they can memorize letters and numbers and phonics, they can not truly understand them. Visual Tracking. Children must be able to track letters on a page with their eyes in order to read clearly. This tracking occurs naturally around the age of six. Children who are encouraged to read before this tracking has developed will struggle with learning and often develop learning challenges. Proprioceptive System. Academic learning involves sitting still, listening, and paying attention. In order for a child to sit still, pay attention, and visually remember shapes of letters and numbers, he must first develop his proprioceptive system – or his sense of body in space, the relationship between the body and the brain. This is usually fully developed at seven or eight in most children, though sometimes a little younger for girls. Problems in the proprioceptive system have learning challenges like ADHD, dyslexia, and nonverbal learning disabilities. Amazingly, there are more and more children in early elementary who are experiencing stress and stress related illnesses. Many researchers are attributing it to expectations – especially academic. Small children are being asked to read and write before their bodies and brains are physically ready to do so – is it any wonder they are stressed? In a 2012 Study done in the US comparing students in a Waldorf school to those in a public education, the study found that children in a Waldorf 2nd and 3rd grades had lower test scores than their counterparts, but in 7th and 8th grade the Waldorf student had far surpassed those of public school. A New Zealand study found the same – that by the age of 10 the Waldorf students had caught up with the early learners and then they surpassed them. From my own personal family, I have not seen any difference in academic ability of a child because of the age they learned to read. I have one child who taught himself to read at the age of 3, one learned to read at 6 and 7 and one that didn’t learn until 10. 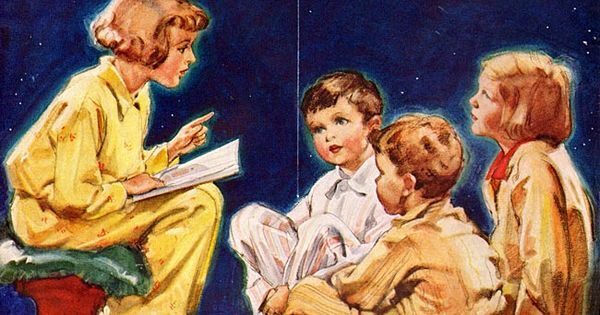 By the age of 12 – they were all reading the same books! In my countless hours of research, I have yet to read of a solid study or article that shows any academic advantage for children who read, write, or do arithmetic before first grade. To be perfectly honest – this science was not available when Rudolf Steiner developed his theory of education. He wrote Waldorf education after years of observation and study of children. The science just proves what he observed to be true. So do I just let my kids run wild until they are 7? No. “Delayed Academics” does not mean a lack of education. Waldorf is rich in early education, but early education is play based and not academic based. Problem Solving. How many rocks, how big do the rocks need to be, and where should I put the rocks if I want to cross the creek without touching the water? Understanding of Numbers. Numbers are not simply symbolic symbols hanging in the air – they are concrete – the cups of flour we use to make cookies, the number of rocks we line up next to the creek. Bilateral Integration. Skipping, riding a bike, swimming, and climbing a tree all use cross over body movements and alternating sides of our body – which in turn trains the different sides of the brain to communicate with each other. Proprioceptive System. Children need to experience their bodies in space – going forward and backward, left and right, jumping up and down – often with some sort of resistance. Therefore great ways to develop the proprioceptive system are to dig with a shovel, pull weeds, and hang from monkey bars. Science. Just being in the outdoors – without explanation – exposes children to the attributes of God, seasons, biology, chemistry, the laws of physics – and makes them question why and how God’s creation works. Hand-eye coordination. Digging holes in the garden for our seeds, finger knitting, and finger plays all develop hand dexterity and hand-eye coordination. Visual Tracking. The eyes naturally follow beautiful water-color paint as it glides gracefully across the wet paper in wet-on-wet painting. Phonics. Singing elongates vowel sounds and stresses consonants. Development of Mental Pictures. When a parent-teacher tells a fairy tale (without using a book, movie, or picture) the child creates images in their mind to correlate with the words of the story. This will later transfer to reading comprehension. Memory, Vocabulary, Enunciation, Pronunciation, and Foreign Language. Through the recitation and memory of verses, poems, and Bible Scripture in both your native and foreign language – children are learning a love of language itself. Learning is Fun. How many five year olds do you know who would rather sit quietly behind a desk and try to decipher letters and numbers on a piece of paper instead of running freely through a field and digging a hole with a stick in the dirt? Case closed. So how do I know when my child is ready for academics? Changes in physical body. Longer limbs, loss of teeth. Brain has developed. Can skip, swim, and/or ride a bike. Displays maturity in behavior. Can sit still, listens and follows directions. Can track visually. Can throw accurately and catch a ball. Eyes can follow your finger without headache or strain. Able to retell a story. Retells stories with clear sequence of events and a few details. Strong desire to learn to read. A child who has a desire will learn so much faster than one who is forced. Because it goes against the social norm, it is hard to “hold your child back” and not teach them what other kids their age are learning. You may have to educate (or forward this blog) to extended family, well meaning friends, and your child’s therapist or Sunday School teachers. I encourage you to study, know, and believe for yourself that you are choosing the best educational method possible for your child. This will help you stand your ground when challenged, and give you a peace in your heart that you are doing the right thing – even when it may not seem like it in the face of society. *Although this blog post is accumulated information from years of personal research and study – the clearest most detailed information on this topic can be found in articles by Susan R. Johnson, M.D., FAAP. A summary of research done in different studies on Waldorf Education can be found at – https://en.wikipedia.org/wiki/Studies_of_Waldorf_education – and if you are a total research nerd, like me, you can click on many of the studies at the bottom of this page and read them more in detail. When I tell people I homeschool, one of the first reactions is for people to tell me why they don’t. Interestingly enough, the reasons most people give me have nothing to do with best educational practices or money or time. The most common reasons I hear for not homeschooling have to do with the lack someone feels they have in themselves. The two most common reasons being, “I don’t have the patience” and “I’m not organized,” with the third not so far behind, “I’m not smart enough myself.” Funny – but don’t public school parents, and childless adults need these things as well as home educators? One of the really cool aspects of a Waldorf Education, and one of the reasons I am a proponent of it’s use, is that the teacher (or parent-teacher, in the case of homeschooling) works on his/her own personal character. This is called Inner Work, and the concept is that one must work on themselves in order to teach children. A Waldorf Education is onto something important here. Personal growth should be a goal for all of us – not just home educators – but as home educators, it is the core and starting place for educating your children. Why is it so important for educators? So we are worthy of imitation. Children do what we do, not what we say. Therefore we should do and be what we want our children to do and be. Now this is the commandment—the statutes and the rules—that the Lord your God commanded me to teach you, that you may do them in the land to which you are going over, to possess it, that you may fear the Lord your God, you and your son and your son’s son, by keeping all his statutes and his commandments, which I command you, all the days of your life, and that your days may be long. Hear therefore, O Israel, and be careful to do them, that it may go well with you, and that you may multiply greatly, as the Lord, the God of your fathers, has promised you, in a land flowing with milk and honey. “Hear, O Israel:The Lord our God, the Lord is one. You shall love the Lord your God with all your heart and with all your soul and with all your might. And these words that I command you today shall be on your heart. You shall teach them diligently to your children, and shall talk of them when you sit in your house, and when you walk by the way, and when you lie down, and when you rise. You shall bind them as a sign on your hand, and they shall be as frontlets between your eyes. You shall write them on the doorposts of your house and on your gates. This is one of the most commonly taught passages of scripture on parenting. But the parenting part is a result of the personal part. God command YOU to love the Lord and to obey him – and then as you live out your life doing so (as you sit, and go about, and go to bed, and get out of bed) you teach your children to do the same as you are doing. Imitation. I love the concept that as you follow God, “you will multiply greatly.” This is not just talking about having more children – it is talking about your children have an abundance of what you have (a love of the Lord), and your children’s children having even more. I know one of my greatest joys in life is watching my preschool age grandkids talk and sing about loving God! The most important aspect of homeschooling (or teaching, or parenting) is focusing on my own relationship with Christ and my own personal growth – Inner Work. How do I do Inner work? Rudolf Steiner recommended meditation. I agree – but only if you meditate on the right thing! The true means of Inner Work is to meditate on God’s Word, and to fix our eyes on Christ and His ways. In the Deuteronomy passage our focus is on loving God and keeping His commandments – or on obedience to Him. In Psalms, we meditate on God’s principles and ways. And in II Peter, we build knowledge of Jesus. Our personal character, and building our self-esteem is never our focus or our goal. Instead, it is the result of focusing on Christ and obeying God’s Word. Galatians 5:22 – 23 But the fruit of the Spirit is love, joy, peace, patience, kindness, goodness, faithfulness, gentleness, self-control; against such things there is no law. When we focus on God and obey Him – love, joy, peace,patience, kindness, goodness, faithfulness, gentleness, self-control will be the resulting fruit that the Spirit produces in us. Now I’m going to get real. If you don’t have enough patience to homeschool – then you have a deeper issue than your inability to teach your kids – a spiritual issue – and issue in your relationship with God. Waldorf Education starts with a teacher’s Inner Work. As Christians, our Inner Work needs to be spending time with our Lord and Savior by studying His Word and obeying it. And God will grow you into a person who is worthy of the imitation of your children. My mom once told me that her idea of heaven was that every fifteen minutes of the day was scheduled out and the schedule never changed and was never interrupted. To me that sounds like hell. I love excitement, surprise, spontaneity. I love when a friend drops by my house unexpected – and I have no problem dropping whatever plans I have to meet a friend for lunch. Most of the 29 years I’ve been a parent – my schedule has been dictated to me by coop classes, sports practice, theater practice, music lessons, and the many activities that we as a family chose to over commit ourselves to. This has led to a different type of hell – one of anxiety. I’d have to leave in 5 minutes because my kids can’t be late to XYZ, but I couldn’t find my keys, I only found one shoe, I have no idea where the jackets got thrown when we took them off last, I forgot I was supposed to take something for the potluck (guess I’ll pick up a fruit tray at the store), I’m yelling at the kids, I’m angry at myself for being such a witch to my kids and losing my temper. This is not fun! This is not how life is supposed to be lived. I’m thanking God, once again, He is giving me a do-over. Four kids are grown and gone – and one is just starting – so she’s my do over. I don’t regret the activities my kids went to – they are who they are largely because of them. I do regret my disorganization and my lack of preparation and my attitude because of my lack of these things. So what am I doing with my do over? Committing to less. There will come a time that Rose wants to do ballet, or play cricket – but she’s not asking, so I’m not offering. I think twice before I say “yes” to any activity outside of my home. My first ministry is to my family, and everything I say “yes” to will be scrutinized to see how it will affect it. I’ll give myself time to breath in. Time to read my Bible and journal it, time to pray, time to take a bath by candle light, time to write, time to have lunch with a friend. TIme alone to just be quiet and think. I’ll give my child time to breath in. Time to play independently. Quiet time to look at books, color a picture, paint, play with clay, or build with blocks or legos. TIme to lay under the stars. Time to ponder imaginary worlds. Time to be quiet and get lost in her thoughts. I’ll give our family time to breath in. Time to eat meals together, saying grace, enjoying each others company. Time for long road trips with Daddy – viewing nature as it rolls by the window. Time to quietly walk through a zoo or museum together contemplating God’s creation. I’ll give myself time to breath out. Time to minister to others – both in my family and outside of it. Time for dates with my husband. I’ll give my child time to breath out. Time to climb trees, dig a hole in the dirt, and skip rocks in a pond. Time to dance as she recites poetry. Time to arrange all the teddy bears in a row and jump over them. Time to chatter obsessively without being told to be quiet. I’ll give our family time to breath out. Time for extended family running and yelling through the house. Time for holiday celebrations. Time for all family members to pull out their instruments and sing and dance together in the front room. Time for local art and music festivals. Time to minister to others as a family unit. Declutter and simplify our house. I am on my way, but have a long way to go. Stop losing things. Make a home for every object, and have every object stay in it’s home unless it comes out to play – then it needs to return home. Establish a cleaning schedule. My home is my main place of worship and ministry – I will treat it with the sacredness it deserves. Establish a cooking schedule. Honor my family with delicious meals made with love. I’m still in the process of working out my “do over,” but so far it has proved peaceful. What do you do to establish peace in your home? It matters not if your kids are 3, 9, 15, or 26. It matters not if you are the mother, father, grandparent, or foster parent. It isn’t starting a college fund, or reading more, or even spending more time with them – all of these things are good, but not the best. The number one thing you can do for your kids in 2017 is draw near to God. When you draw near to God, and He draws near to you – God enables you to make better decisions. Parenting is a serious of questions. Should I give birth in a hospital, birthing center, or at home? What do I do when my toddler throws a fit in the store? What do I do when my child is bullied? Should we allow our child to date – ever? How will we ever fund college? How do I relate to my adult child? Those are the important questions – then there are the day to day ones you don’t want to admit you ask – Will eating boogers harm my child? How many days in a row can my child wear his superhero shirt before a well meaning philanthropist gives me a bag of hand-me-down clothes? Why do I feel more like a stalker than a parent while chaperoning a date? Got questions? God has answers. He will lead you every step of the way as you parent your kiddos. Isaiah 40:11 says, “He will tend his flock like a shepherd; he will gather the lambs in his arms; he will carry them in his bosom, and gently lead those that are with young.” and James 1:5 says, “If any of you lacks wisdom, let him ask God, who gives generously to all without reproach, and it will be given him.” Couple that with Proverbs 2:6 “For the LORD gives wisdom; from his mouth come knowledge and understanding.” Draw near to God and He will guide you and give you wisdom. When you draw near to God and He draws near to you – you will be worthy of imitation. 87% of youth raised in church walk away from the church and from their faith in college and most do not come back. The 13% who stayed strong in their faith all reported having at least one adult – usually a parent – who demonstrated a close relationship with the Lord and discipled them to do likewise. If we want our kids to draw near to God, we must do so first. The best thing you can do this year for your kids is to put God first yourself. Draw near to God, and He will draw near to you – in 2017. ”Everyone’s life is a fairy tale written by God’s fingers.” Hans Christian Anderson. I invite you to journey alongside me on a road less traveled … an adventure, inspired by a waldorf education, training my daughter to use her heart, mind, soul, and strength to love the Lord.